The Senate version of the Labor-HHS spending bill set top-line spending $2 billion higher than the House version. 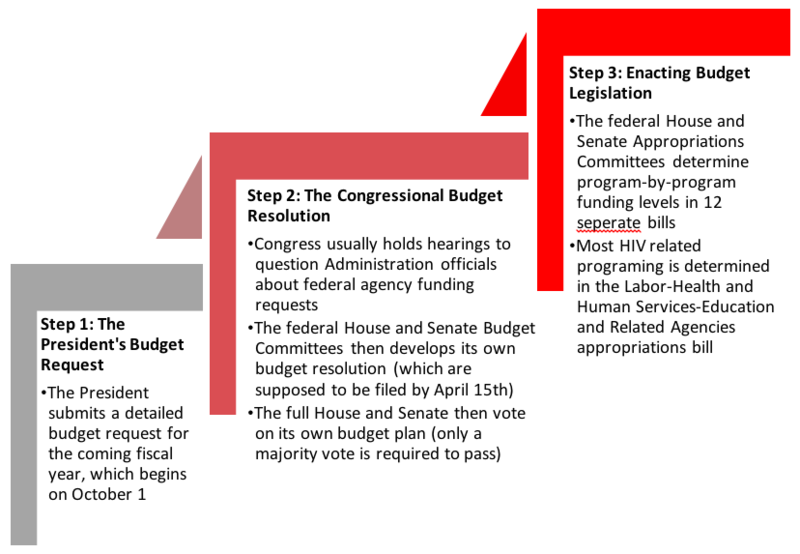 It is unknown at this time how those funds will be allocated for each of the Senate Labor-HHS spending bill will be marked up in the upcoming days/weeks. 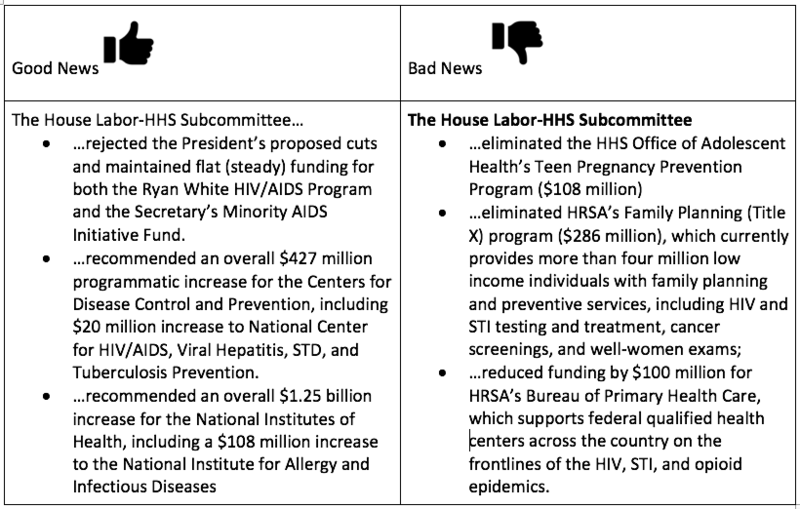 NEXT STEPS: In the coming weeks, tentatively scheduled for June 26, the full House Appropriations Committee is expected to mark up the Labor-HHS bill. It is likely that several Representatives will propose amendments targeting federal funding for programs impacting minority health, rural health, Title X family planning, operation of supervised consumption facilities, and programs affiliated with the Affordable Care Act that the current spending bill proposes reducing or eliminating. TAKE ACTION: It is very important that our elected officials hear from us to protect federal HIV funding for HIV prevention and care. Speak truth to power by sharing your personal stories with your elected officials. It is vitally important to meet your federal elected officials when they are at home. If we don’t support and advocate for HIV funding and programs, who will? Our movement cannot afford to stand on the sidelines. Your U.S. Senators and U.S. Representatives need to hear from you. Also, MAKE SURE THAT YOU ARE REGISTERED TO VOTE in time for the primary and general elections happening this year! NMAC remains vigilant in its advocacy to protect FY19 government funding and the existence of the social safety net. NMAC will meet with hill staff to support amendments that are favorable for our programs. NMAC is also working with lawmakers to address PrEP access and HIV in the military in a new partnership.